Rugged waterproof 500D Tarpaulin exterior. 24 can capacity Cooler. 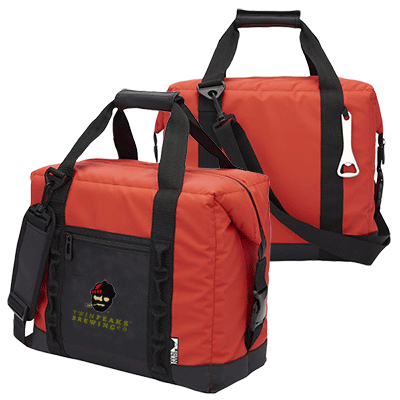 Leak-resistant heat-sealed liner Features main zippered compartment, front zippered pocket, hook and loop secured handles and an adjustable/detachable padded shoulder strap. Includes Stainless Steel bottle opener.